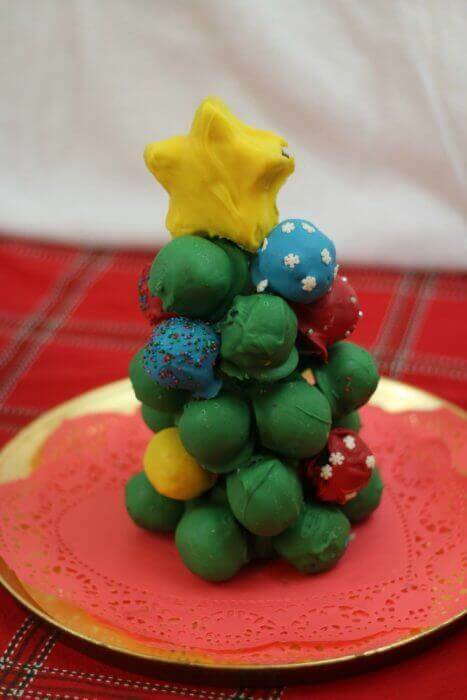 / OREO Cookie Balls Christmas Tree! 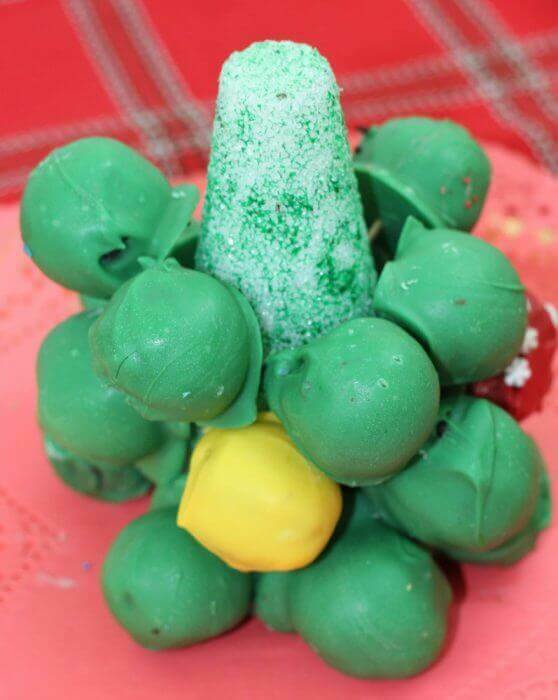 OREO Cookie Balls Christmas Tree! Do your children participate in a Christmas play or pageant at their church or school? Do they sing? Dance? Play an instrument? Or have a speaking role? My boys have participated in the annual Christmas Pageant at church for the past few years. Although it is a hectic evening it is so special and the memories created will be treasured forever. Every year one of the families participating in the Christmas Eve Pageant hosts a get together afterwards. It is a great time to relax and bask in the glow of another heart warming presentation. It is also a good time to share a chuckle or two about any mishaps that may have taken place. This year I am hosting for the first time and I want to make a special treat for all the hardworking children and directors. Since it is OREO Cookie Balls season I decided to try my hand at these delicious treats with a little twist by creating an OREO Cookie Balls Christmas Tree. 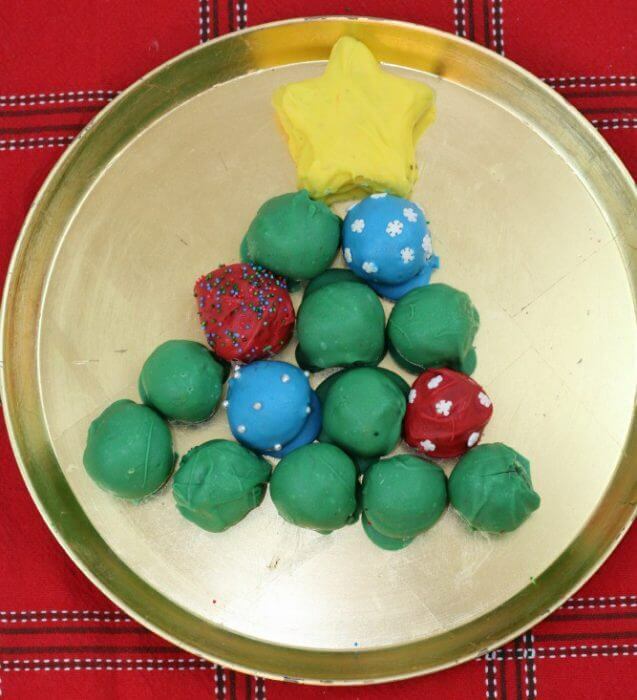 My OREO Cookie Ball Christmas Tree starts with the official OREO Cookie Balls Recipe. I made two different batches of OREO Cookie Balls. One using the official original recipe because I am an OREO purist. 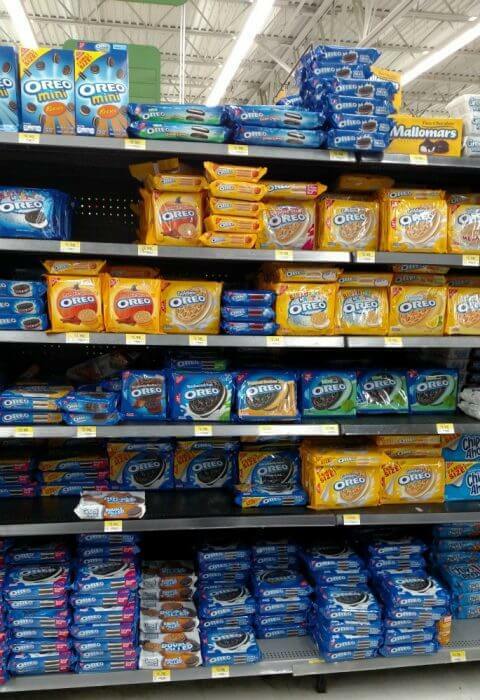 Nothing beats the classic original OREO for me. 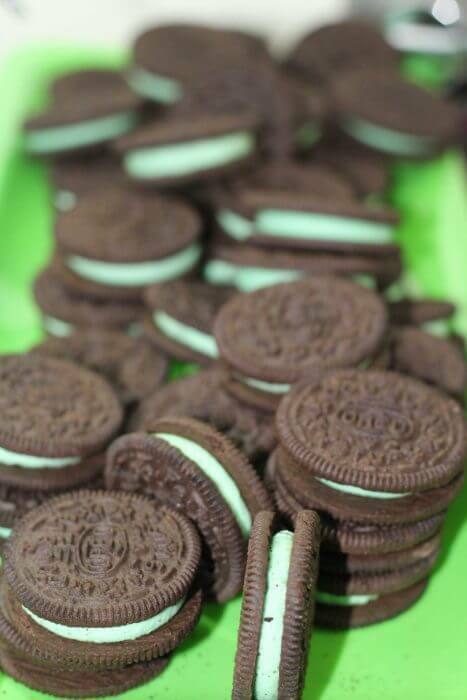 Everyone else in my family LOVES Mint OREOS so I made a batch using Mint OREOS instead of regular OREOS. And so that I could tell the difference I dipped all the mint balls in melted white chocolate mixed with green candy melts and the rest in melted white chocolate mixed with red, blue, or white candy coating. This is also nice for our guests who may or may not share my family’s love of mint and chocolate. Gather all of your ingredients. 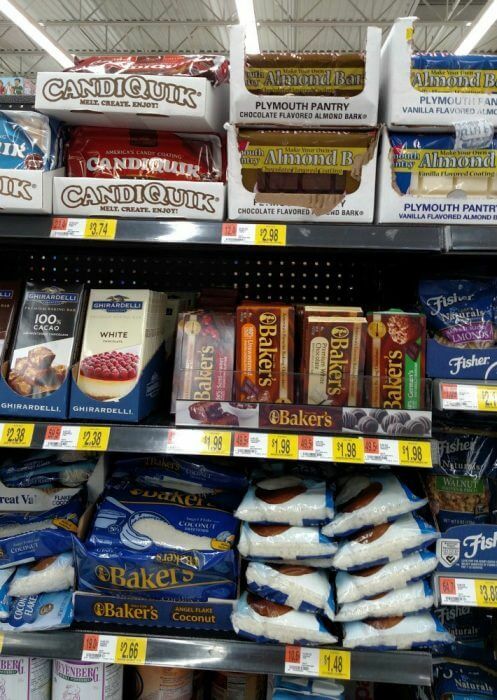 You will need OREOS, cream cheese, and chocolate for dipping.While I was out and about doing some holiday shopping at Walmart I was able to find everything I needed. I used white chocolate mixed with candy coating to achieve the colors I wanted- this is optional. 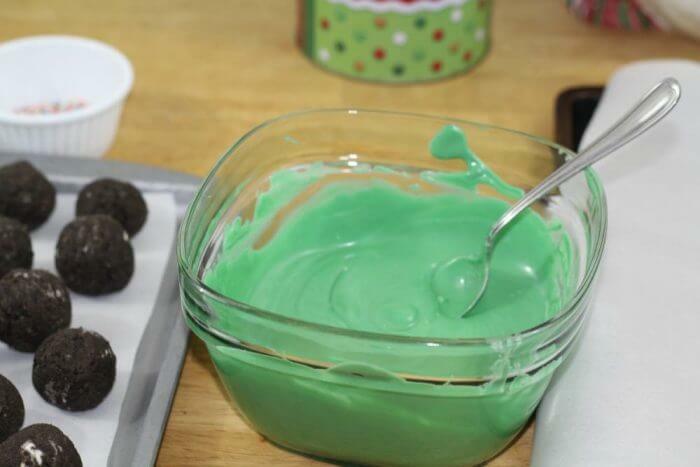 You could also add food coloring to the melted white chocolate if you like. 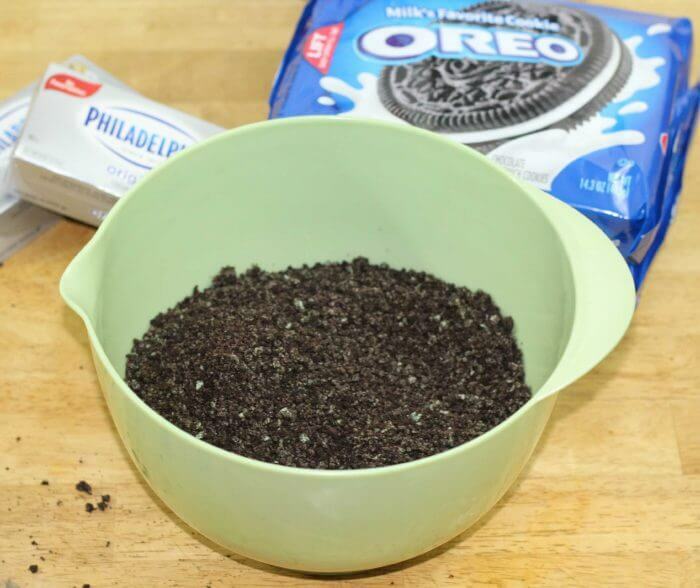 Crush the OREOS in a food processor. 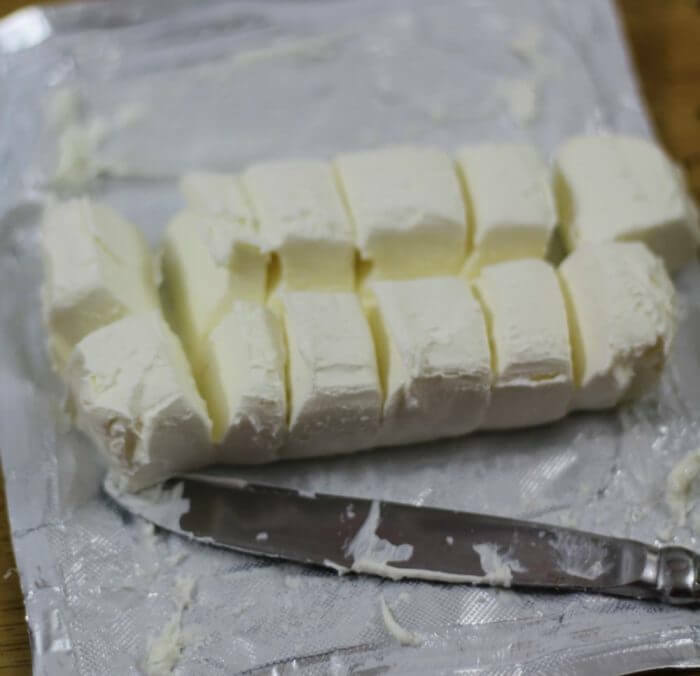 Now it is time to add the softened cream cheese. 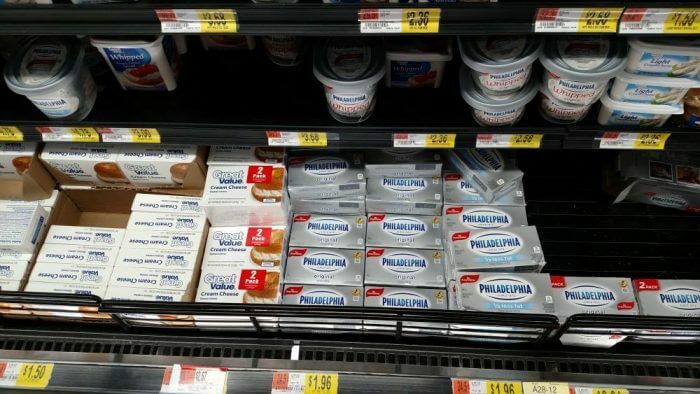 I cut the cream cheese into squares to make it easier to mix in. 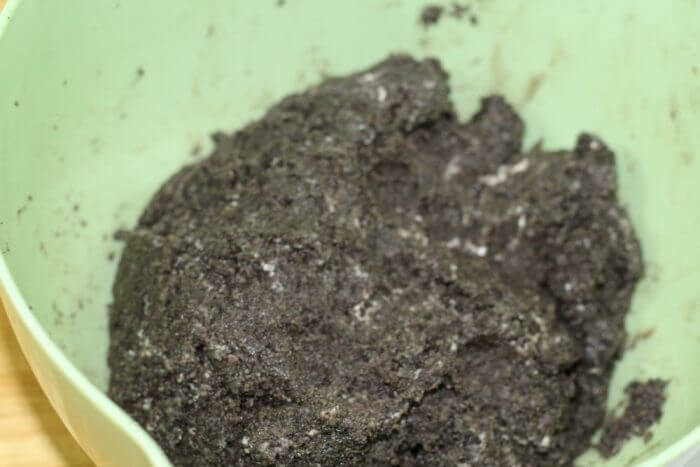 Mix it up until the mixture is uniform It will look like moist but thick cake batter. Now it is time to roll it into balls. Roll all the dough into balls that are about one inch in diameter. 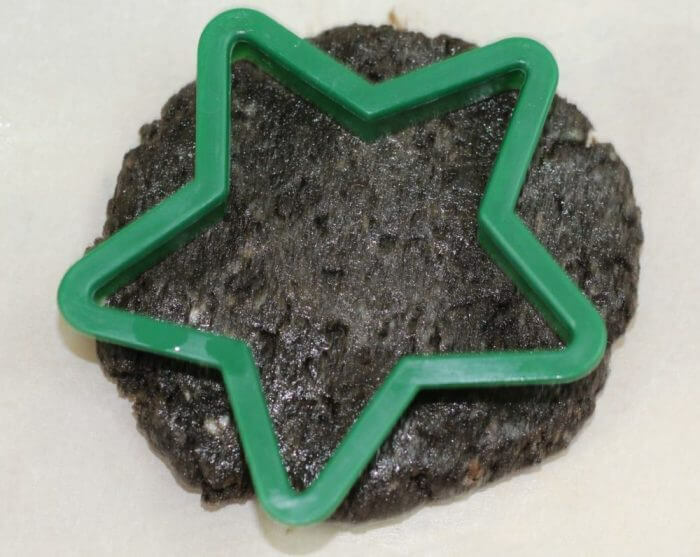 Place them on a cookie sheets on parchment paper and then freeze them for 10 minutes. Save some of the dough for the star. I will share the directions for making that as well. 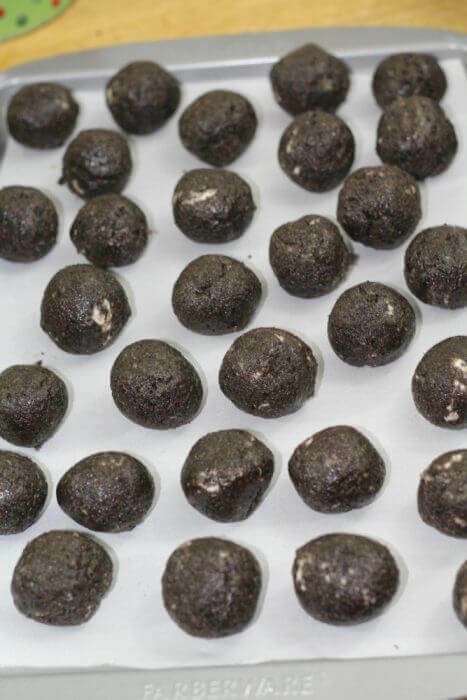 While the OREO Cookie Balls are chilling in the freezer, melt the white chocolate and candy coating in the microwave and mix thoroughly. 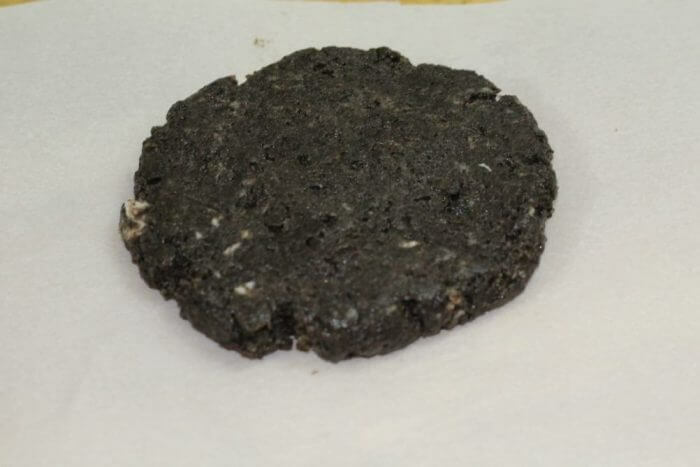 Next dip the OREO cookies balls in the melted chocolate and place on a tray lined with parchment paper. 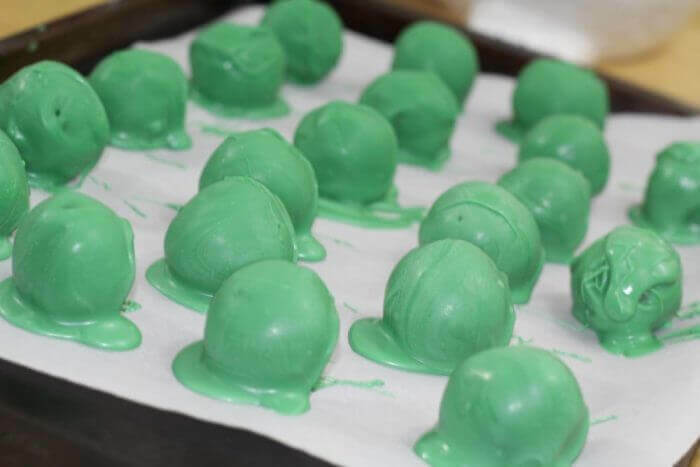 I dipped the mint OREO cookie balls in green. 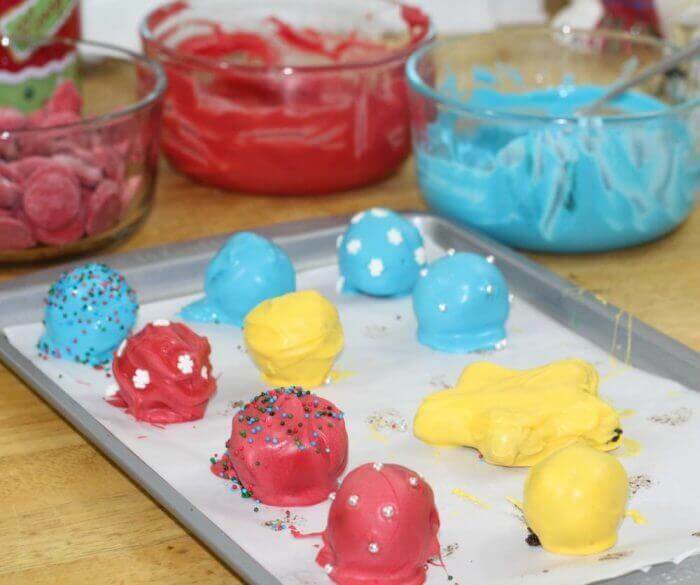 The rest of the balls I dipped in white chocolate mixed with red, yellow, or blue candy coating. Let the chocolate start to solidify for a minute or two and then decorate with candies to make them look like Christmas Ornaments. Then chill the balls for an hour. First flatten some of the dough to a thickness about 1/4 inch. 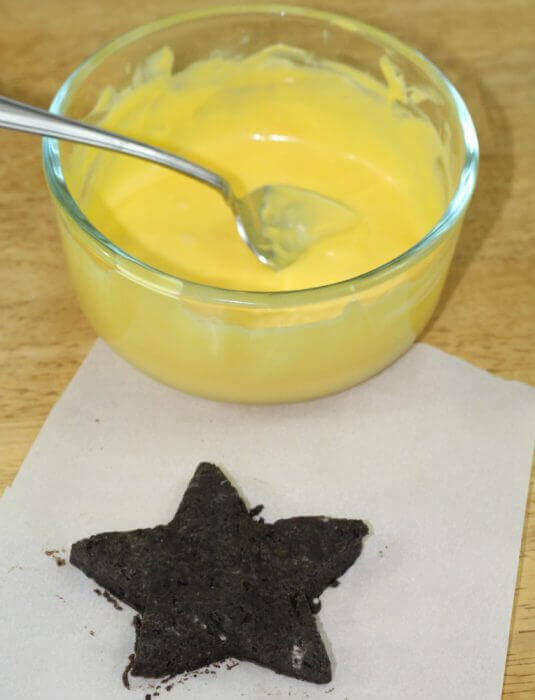 Make sure the flattened dough is large enough for you to be able to cut out the star shape. 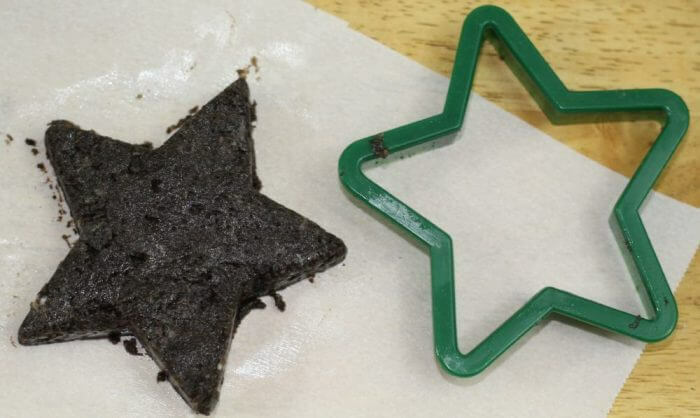 Use a cookie cutter to cut out the star. Then put the star in the freezer for 10 minutes. 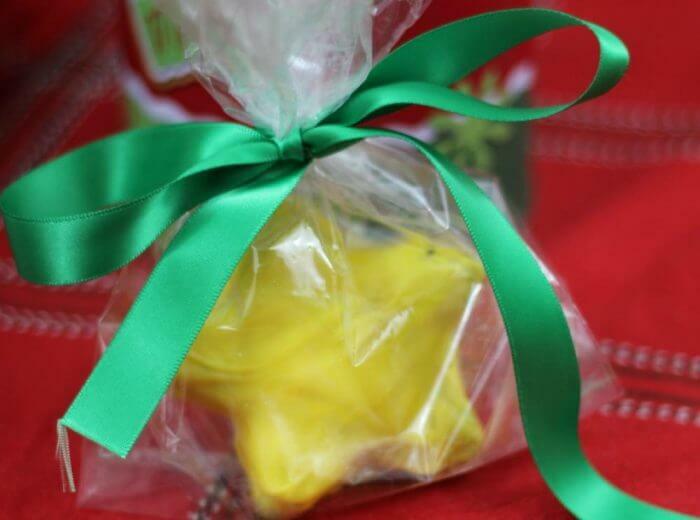 Once chilled, dip the star into the melted white chocolate and yellow candy coating. Then chill for an hour. The star turned out so well and was easy to make so I am going top make one for each child in the pageant because they will all be the star of the show. I put the stars in individual bags wrapped up with a pretty bow. You will need toothpicks and a styrofoam cone. 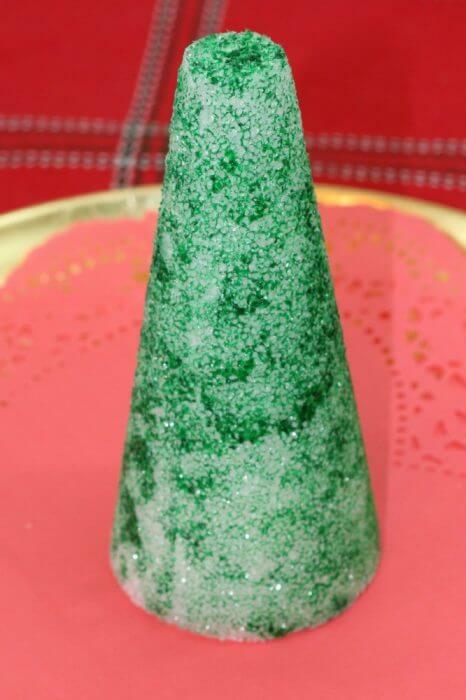 Paint the cone green so that if parts of it peak through after assembling the tree it will blend right in. Starting at the bottom, insert toothpicks into the cone. 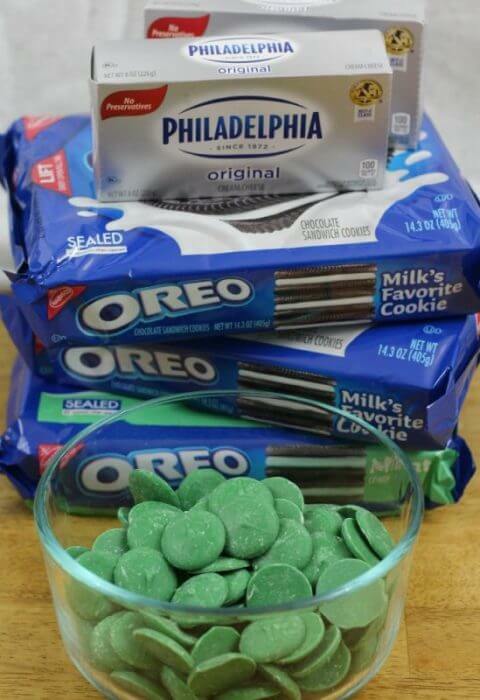 Then gently push the green OREO Cookie Balls onto the toothpicks. Add a different colored ball occasionally to look like ornaments decorating your tree. Add the star on top with a toothpick. 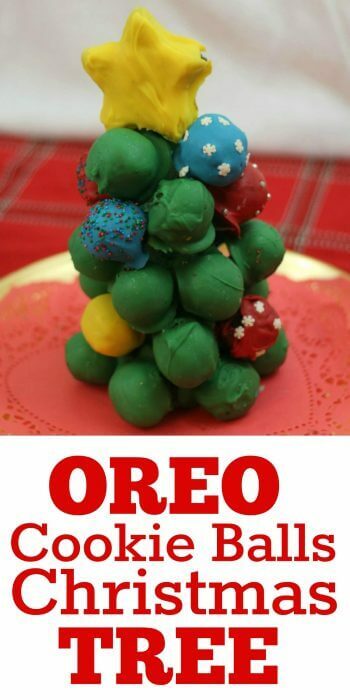 You now have an OREO Cookie Balls Christmas Tree that can be used as a delicious edible centerpiece on your holiday table. And just in case you are afraid your guests will think it’s too awesome to eat, you can make an OREO Cookie Balls Christmas Trees on a tray instead. Just arrange the balls on a tray in a triangle and top with a star. For more creative and festive OREO Cookie balls recipes, click here: Holiday OREO Cookie Balls Recipes. Share with us what you want to make in the comments below. I am in love with Snowmen!